Leon County school district officials are launching a campaign to renew the half-cent sales tax. The money goes for school construction and maintenance and, as Lynn Hatter reports, the district is partnering with the Leon Chamber to justify the expense. Florida’s charter schools are looking for some extra money this year, and they’ve set their sights on traditional public schools to get it. 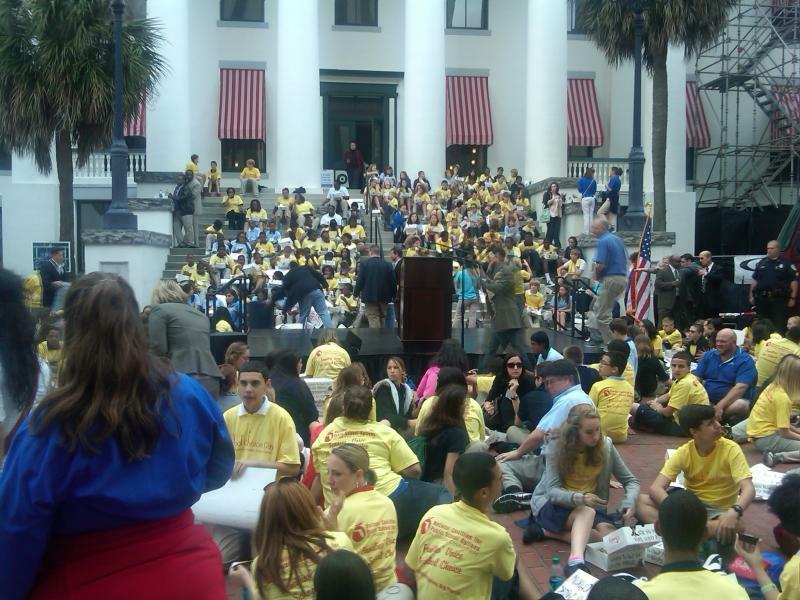 Lynn Hatter reports the charter groups held a rally in Tallahassee Wednesday to urge the legislature to pass bills that would give them both enrollment and financial boosts. If you want to be a Gator or Seminole it could soon cost you a lot of money. Students at two of the state’s largest universities could see tuition bills more in line with those at other top-tiered schools in the nation. Lynn Hatter reports a proposal to allow the schools to break free of the state’s tuition cap is now making its way through the legislature. 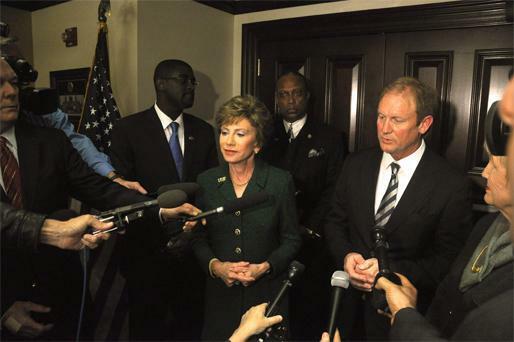 Senate budget Chief JD Alexander and University of South Florida President Judy Genshaft met face-to-face for the first time Monday since squaring off back in November. The two are at odds over a plan to allow the University’s Polytechnic Campus to work toward becoming the state’s 12th state university. Lynn Hatter reports the University is also at odds over the Senate’s higher education budget. Two of Florida’s biggest universities could soon be allowed to raise their tuition rates to the national average. Lynn Hatter reports a proposal to allow the schools to break free of the state’s tuition caps is now moving through the legislature. A bill to shield public schools from lawsuits when groups like the local little league or individuals use their facilities after hours, is making its way through the legislature. Lynn Hatter reports the proposal has had an easy ride through most of its committee stops, and faces little resistance. Almost a decade after it was created the board that oversees the state university system is still working to get its footing. Over the past few months, conflicts and scandals at some of the schools have made state and national headlines. And as Lynn Hatter reports, the board’s chairman says his group should have more authority when it comes to the affairs of Florida’s universities. A measure aimed at giving parents a greater say in what happens to a failing school is now heading to the House floor. Lynn Hatter reports the proposal is one that divides parent groups, and has opponents calling it a power grab. Right now, Florida public schools labeled as “chronically failing” face a few different choices. Districts can replace principals and switch staff, increase funding, hand the school over to a private company or, convert it into a charter school. The Senate budget committee hearing almost broke down Wednesday over a battle to fund the University of South Florida and its Polytechnic Campus. Lynn Hatter reports after hours of blistering criticism, the Senate backed off a plan to hold back money from USF until it handed over Polytechnic as part of a plan to eventually make the campus an independent university. What started as a simple, charter school accountability bill quickly morphed into a debate over whether school districts should be required to share some of their funding. Lynn Hatter reports the effort follows a similar move adopted by the Senate last week on a similar funding mechanism to boost construction dollars to charter schools. A bill that would have granted sovereign immunity to emergency room doctors is changing as it moves through the legislature. Lynn Hatter reports a House panel has approved a series of amendments that supporters say would bring down the cost of healthcare. But the move has opponents arguing it would limit a patient’s right to sue for medical malpractice. The University of South Florida’s polytechnic campus could be on a fast-track to becoming the state’s 12th public university under a senate proposal. Lynn Hatter reports the proposal slipped into the Senate’s appropriations budget would grant the college almost immediate independence from its parent university. The state’s education budget is slated to be increased this year after years of funding cuts, and public schools say any increase is better than nothing. But within the traditional school structure, an internal battle is brewing. And Lynn Hatter reports it revolves around funding for one specific type of public school- charters. The Florida Senate has signed off on new voting district maps, and they are now headed to a judicial review. Democrats have long claimed the state’s new elections law and current process of redistricting are an attempt to block them from having any substantial influence in Florida politics. Republicans hold super-majorities in both chambers of the legislature, and have full control of the Cabinet. Now, as Lynn Hatter reports, the minority party is making a case that the majority party is engaging in voter suppression and gerrymandering. Florida Democrats are voicing their displeasure with several budget cutting proposals under consideration before the full chamber. Republicans have a veto-proof majority in the legislature, but as Lynn Hatter reports, that didn’t stop the minority party from launching a series of criticisms --thinly disguised as questions— to try and poke holes in the Houses healthcare budget plans. The House Economic Affairs committee has passed out several bills to help ease the price tag on Florida homeowners. Lynn Hatter reports included in the list of bills heard includes a plan to reform the state’s largest property tax insurer, provide some additional tax breaks, and change the way foreclosures are handled in the courts. It’s the Senate’s turn to begin work on its budget proposal for the upcoming fiscal year. Lawmakers in that chamber Tuesday began crafting the education section of the bill, which includes funding for K-12 and higher education. Lynn Hatter reports a preliminary view of the Senate’s plan includes a little more money for K-12 and a little less for colleges and universities. A class-action lawsuit has been announced against the state’s largest property insurer. Citizen’s is being accused of artificially raising home values in order to charge higher premiums. 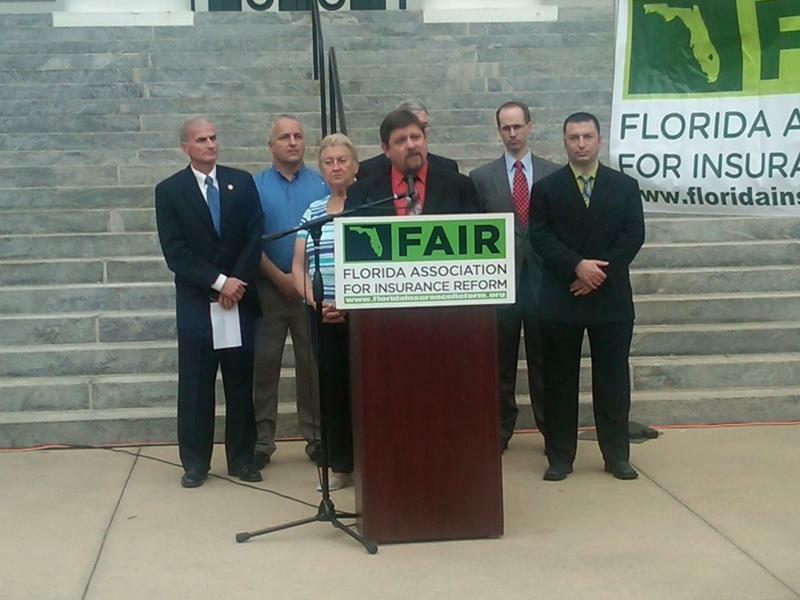 Lynn Hatter reports a group called the Florida Association for Insurance Reform, or FAIR, is backing the lawsuit. 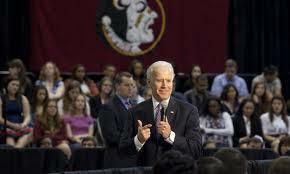 Vice President Joe Biden is carrying the message of making college more affordable throughout Florida this week. Monday he stopped in Tallahassee at Florida State University to talk about the rising cost of tuition—an issue that’s been front and center in state politics recently. But Lynn Hatter reports when it comes to the issue of holding down costs in higher education—some say it shouldn’t come at the cost of financial aid to students who need it the most. The shortfall within the trust fund that supports public school construction projects is so great, that Governor Rick Scott has called on school districts, colleges and universities to give back unspent money from previous years. But as Lynn Hatter reports, there’s a plan afoot in the Florida legislature that could help shore up the fund, and create a dedicated funding source for future building plans. The House and Senate are getting closer to an agreement on fixing the state’s no-fault auto insurance law. Lynn Hatter reports, Members of the Senate Banking and Insurance Committee approved changes to a bill that would try to bring an end to a system that’s riddled with fraud. The panel approved Senate Bill 1860 with a unanimous vote. The proposal, drafted by Republican Senator Joe Negron eliminates treatments like massage therapy and acupuncture from the list of services that personal injury protection insurance currently pays for after accidents. The House and Senate are poised to clash over funding for the state’s health and human services. The House finance committee has approved a plan to slash more than 800-million from healthcare, while the Senate cuts fewer dollars. And as Lynn Hatter reports, neither budget comes close to the $2 billion mark Governor Rick Scott proposed in his state spending plan. The Governor and House are on diverging paths when it comes to the issue of higher education tuition increases. Lynn Hatter reports the House is poised to approve a rate hike for Florida’s college and university students, and the governor is vowing to veto it. The House budget proposal calls for an 8-percent increase in tuition, something that students like Florida State University’s Michael Sampson say they don’t want. The Senate has approved a bill that would allow prayer at public school events. Lynn Hatter reports the bill cleared the chamber on a 31-to-8 vote. Under Senate Bill 98 school boards are directed to lay out guidelines for when and how students in public schools could give “inspirational messages” at school events. Groups like the ACLU of Florida are against the bill, saying it’s unconstitutional. But the bill sponsor Senator Gary Siplin of Orlando says his proposal doesn’t force any group—the student or the school—to do anything they don’t want to do. The United Way of the Big Bend has a new leader for the first time in 16 years. The news comes after current president Ken Armstrong announced he is stepping down to take a position at a construction company. Lynn Hatter reports the United Way chose to recruit one of its own as the new agency head. 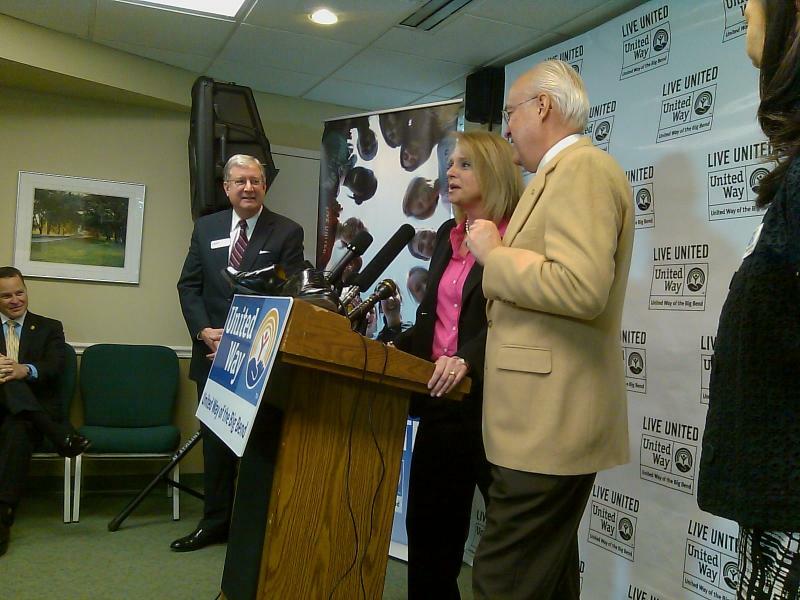 The United Way’s Heather Mitchell will assume the role as President and CEO. 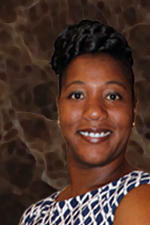 Mitchell joined the agency five years ago, and currently serves as head of resource development. She says she’s got big ideas she hopes to bring to the job.